Are you ready for Kanye West’s next foray in fashion? 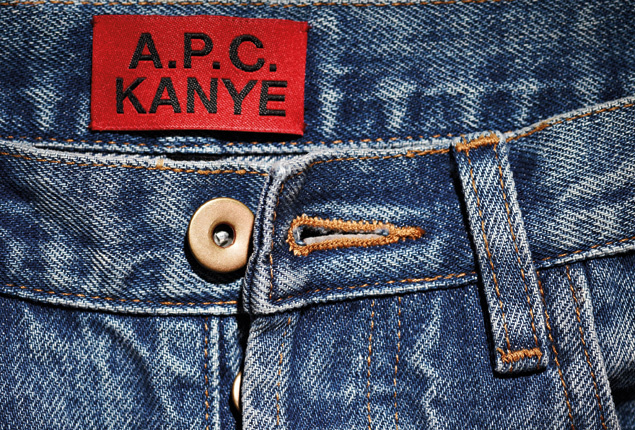 You better be, as it has been confirmed by the most powerful sources that be, namely social media, that Kanye West will be taking his sartorial eye to French denim brand, A.P.C. The three-piece offerings will be available Bastille Day (aka the celebration of the first day of the French Revolution. Who are these amazing marketing people? I need them on my team) July 14. If the $200 price point for A.P.C. is any indication, you may be paying a hefty coin to get your hands on some of the wares. Next Next post: 2013 MTV Video Music Award Recipients To Receive Reinvented Moonman Awards!! !